Buckinghamshire County Council and local NHS organisations are working together to change the way services are delivered. They also have to make the best use of the money available for health and social care. Those responsible for health and social care in the county have recently published their Operations Plan for 2018/19. At Healthwatch Bucks, we think it’s important that you know what is planned and have the chance to have your say. And so do those in charge of the system who want to have meaningful conversations with staff and communities. “We will continue to engage people in the design, development and delivery of our plans,” says the Operations Plan. At Healthwatch Bucks, we want to help local people to do just that. The plans aim to improve the quality and value for money of the care provided in the county. They are in line with four national priorities to achieve better outcomes in primary care, urgent and emergency care, mental health and cancer. Buckinghamshire County Council and the NHS want to put the individual person at the centre of what they do. That’s why they are looking at ways to ensure that health and social care professionals can work more closely together to meet the needs of each person. That’s also why they plan to extend the Community Service Hubs, which are currently up and running in Marlow and Thame, into other areas. They aim to bring social, physical and mental health care closer together in communities across the county. We told you a little about these new hubs in our last newsletter. One of the most important elements of the plan is a new system to provide a county-wide shared record for each of the 530,000 people who live here. 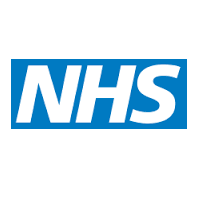 The new system will enable health and social care professionals to have the access to the information they need about a person’s treatment and previous history, including care plans. Staff will be able to access only the information they need with patients being given the option to opt-out of data sharing should they wish. Most of the plans for 2018/19 are for organisational and technical changes which will not be immediately apparent to those of us who live here but will result in widespread changes in the following years. If you have a question or comment about the future of health and social care services in Buckinghamshire, please contact us at Healthwatch Bucks and we’ll make sure your questions are answered and your opinion heard. 2 comments on "Planning progress in health and social care – Bucks ICS"
The evaluation of the community hubs in Thame & Marlow has a few flaws in it. The data in the chart about re-admissions is incomplete and lacks any statistical analysis. Until the success of the hubs has been validated we should not develop any further hubs. Yes there are some good things happening but we need to see the whole picture before going ahead with more community hubs.